It can be easy to get lost in the whirlwind of content marketing these days, particularly if you're relatively new to the inbound marketing arena. 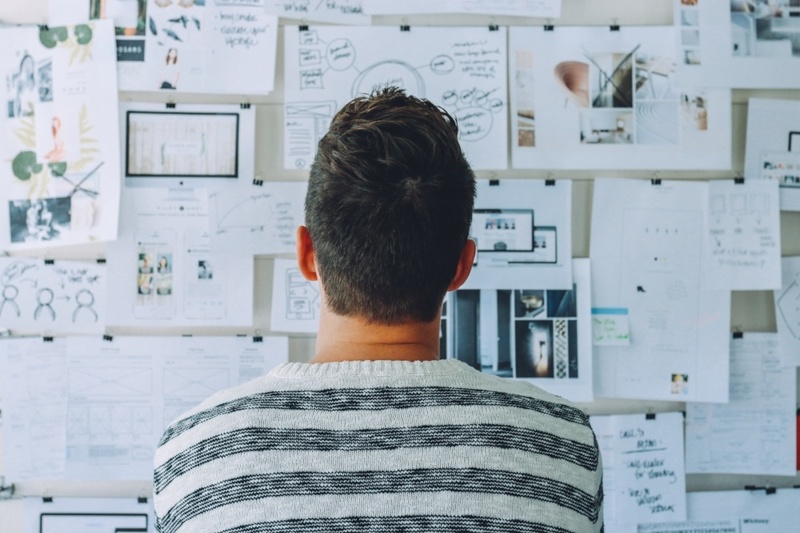 There are quite a few moving parts to creating a great content marketing strategy, but how can you figure out where to start? While there can be a lot of 'nice to haves' in your marketing strategy, you should always knuckle down on the 'must haves' first to ensure you have a solid foundation for any frills you want to add later. So what are the most important elements of content marketing? Keep track of your content and how it aligns with your plan by using the Content Mapping guide. Download your copy here. Developing a long term plan for your business' content is important because it provides direction. Having a plan will give you and your team the ability to remain reactive to upcoming events, stay organised (to avoid scrambling for content at the last minute), and proactively manage content required for your marketing strategy. Having a plan will also give you the best chance to achieve any business goals. It's important to understand that this plan isn't concrete and can adjust based on changing initiatives or business goals. The point is that it gives your team something to work towards. If you're not sure how far ahead you should be planning, start with six months and see how that goes. Set marketing goals (SMART of course) - Your goals will help you identify if a piece of content is really aligning with what your business ultimately wants to achieve. If the content doesn't align with the overall business goals, what's the point in creating it? Audit or assess your organisation's initiatives and assets (use this helpful HubSpot resource) - This will help you identify the types of content you already have or don't have, so you don't duplicate any content. Also understand where in the buyers journey the content is relevant, to give yourself a better picture of the amount of TOFU, MOFU and BOFU content you have and will need. Identify the buyer’s journey for your buyer personas - Understanding your buyer personas first, will allow you to know what type of content will be relevant to that persona based on the buying stage they're in. From the awareness stage where it’s more problem-based, through the consideration stage where you’re discussing a solution, and ending in the decision stage where you’re recommending next steps. Once you've got this plan in place, you can start creating your content! The quality of your content is important, because you want it to actually be helpful for your readers. Don't just power out 700 words because you know it's good for SEO - if you're struggling to generate genuinely useful content twice a week, scale it back to once a week or fortnight. Your content will be much more valuable to search engines and readers if it is richer and worth sharing. Also ensure your content is well written and produced. You might have a great idea, but if it doesn't flow on paper (or on screen) you won't keep your audience interested. If you tell a story well, your audience will make emotional connections with the content and ultimately find it helpful to their situation. This goes back to your personas and buyer journeys. Instead of trying a one-size-fits-all approach (news flash - one size definitely does not fit all), be specific about the content you're creating and how it relates to individual personas. Consider what their pain points are and what they're looking for at a particular stage in the buying journey. This one goes back to your goals - it's all good to have great content, but you can't expect that alone to generate results. Ensure your content is optimised for search engine optimisation and lead generation. Use keywords and topics relevant to your business and what you're writing about (don't try to cram every keyword into one blog). And make sure your audience knows what to do after they've engaged with the content - if they've read a blog on 2018 house design trends, perhaps the next step is downloading a guide on things to consider when designing an architectural home (for example). Remember to include CTAs in your content so your audience knows where to go next! If you've got quality content that is targeted, optimised and aligned with your plan, you should be generating results. Remember, results will be different for every business as it will be dependent on your goals. But there's no point in having great results if you're not measuring them. Are you reaching your initial goals, or smashing new ones? Where are people coming from? Where does your content need improving? Are your visitors converting? Having this understanding of how your content is performing will help you in your future planning and content creation efforts, because you'll know how you can improve and what your audience resonates with. So there you have a basic run down on the most important elements of your content marketing. Having this foundation in place will set you up for a well rounded content strategy, that you can build and improve on as time goes on. To get you started, you can download our Content Mapping guide to see how your current content shapes up (and you can continue using it once you create more content). Download your copy here.